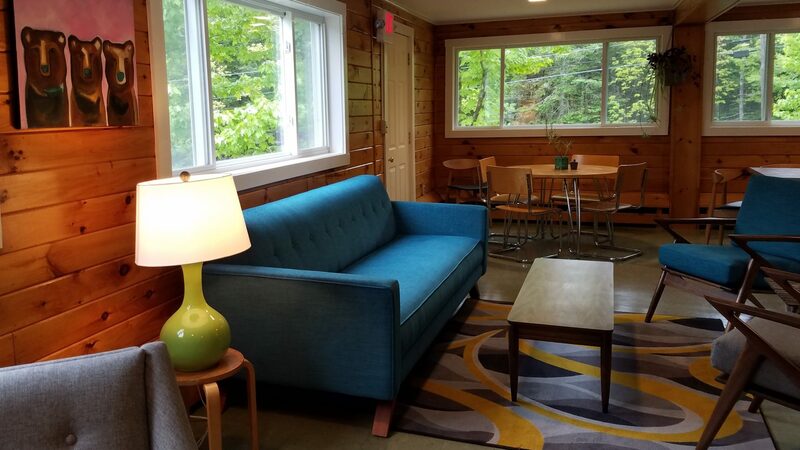 Ideal for a party of three, room 1 has a cabin-like feel, with a little bit of flair. 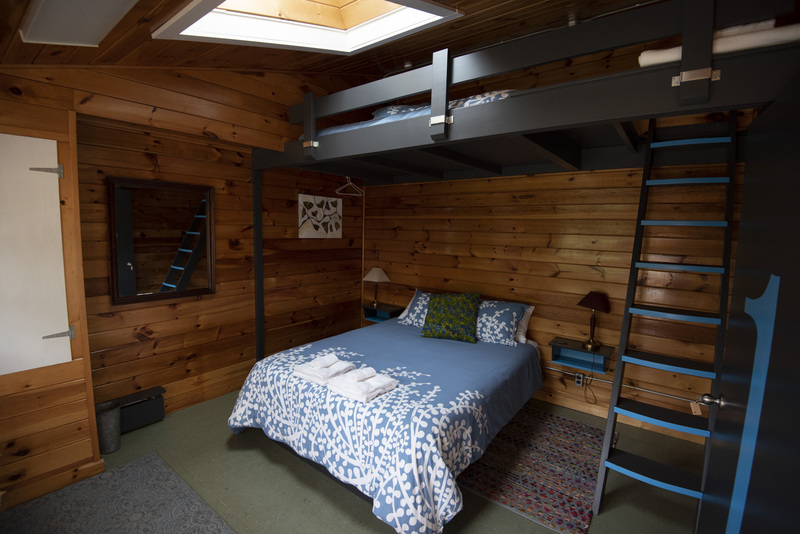 Located in the Lodge, this room has one queen bed and an overhead sleeping loft. 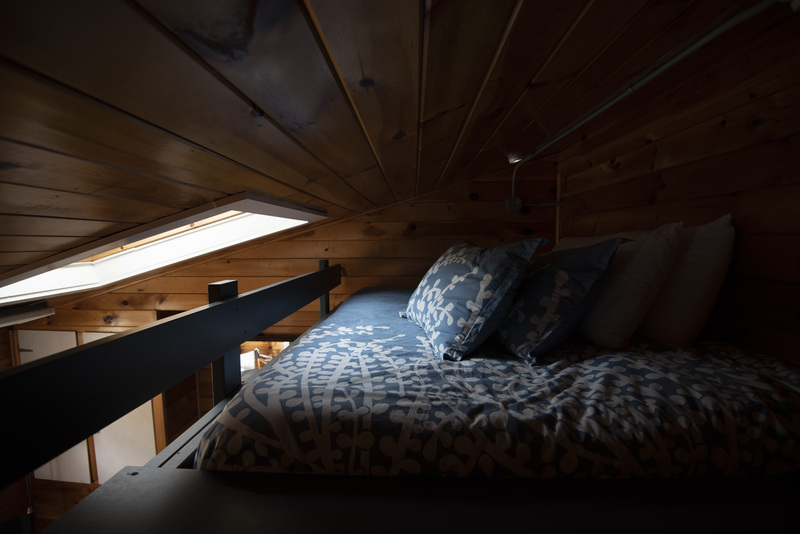 Up that ladder you'll find an additional double bed that's cozy and semi-private with a view out the skylight and enough headroom to sit up and read in bed.